For my STEP signature project, I participated in the Study Abroad program Engineering Castles and Cathedrals over the summer. In this program, we traveled across England and Wales to study the building techniques that were employed by their constructors, as well as the history of the area and why they were built. 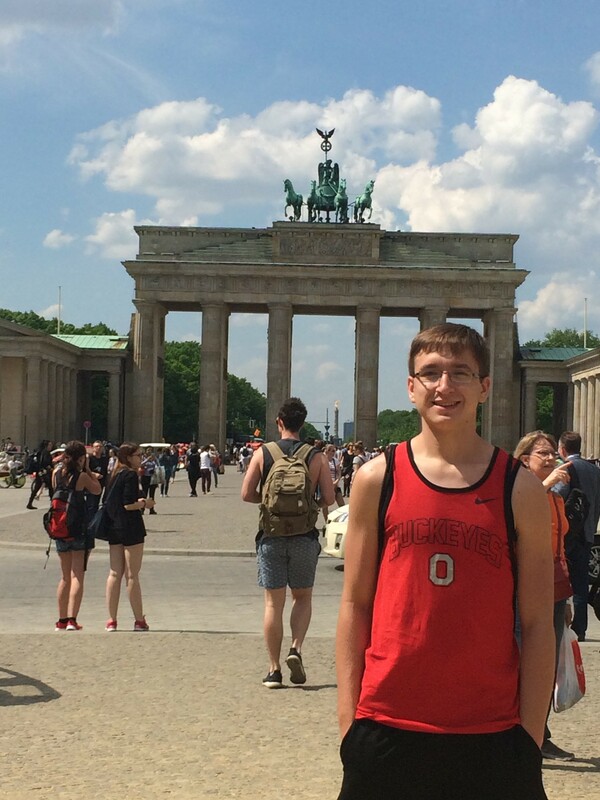 I also tagged on an additional trip to Germany to view the country of my ancestors and greater appreciation of them. 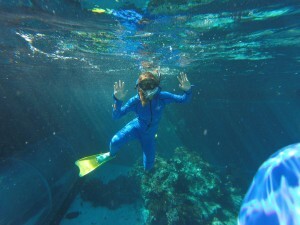 During this trip I was able to learn about myself and adapt to different conditions than I am used to here in America. 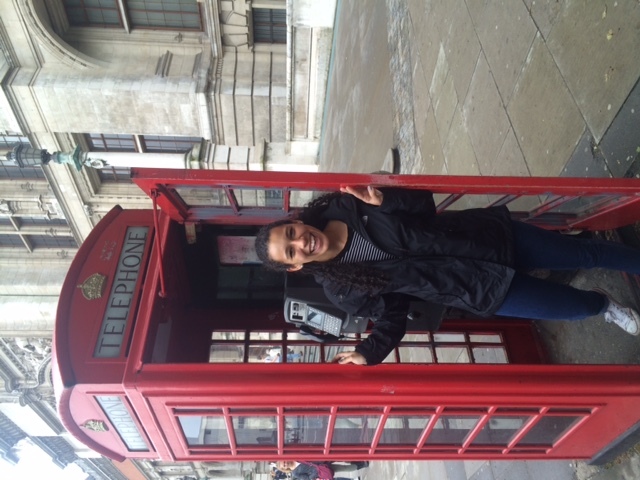 During this trip I was able to experience the cultures of England, Germany and Italy. Each one of these places held a different challenge for me to overcome, whether it be the proper customs in a British pub, how to act in Germany, or the language barrier in Italy. Having made it back to the United States, I am proud of myself for adapting and overcoming these different situations. These abilities will help me in the future when I move to new jobs, either in America or elsewhere, and also gave me more confidence in tackling situations that seem difficult at first glance. This transformation came about mainly due to the fact that I had to adapt or be eaten up. 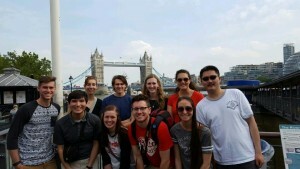 England was an easier experience since I had an instructor and classmates to stick with. However, when we would break into smaller groups for lunch or dinner, we would be on our own. Without the help of the instructor, we had to find our own way through towns or cities. Most of the time we would end up wondering through the city or town looking for someplace to go, relying on google or TripAdvisor. However, eventually we learned how to ask the locals for help; either where to eat, or how to get someplace. I was able to apply what we learned in England to my travels in Germany and Italy when the program finished. Instead of relying on the instructor, I had to rely on my instincts and what I learned from England. In these two countries, there was no coach that would take me everyplace I needed to go. As a result, I had to get accustomed to the public transportation system in many different cities. Some places like Munich and Rome had an easy to understand system, with only a slight learning curve, which made traveling much easier. However, places like Naples had a harder learning curve. Here, most ticket kiosks would not work and I had to get tickets from tobacco shops. At first it was confusing, but after learning the first time, the next times I needed tickets was easier. Another aspect of the trip that help my transformation was seeing the places that we traveled to. We went to places that were out of the way, tucked in the mountains or in the forest. They seemed like places in fairy tales. Before I went to England, I knew very little about the country, and even less about Wales. By the end of the trip, however, I knew a lot about the early history that formed these two nations, as well as their present day problems. One of the problems that stood out the most when traveling through England was the ‘Brexit’ vote and the views of the Welsh and English. The Welsh wanted to remain because the Union helped their economy and were worried England wouldn’t be enough. However, England wanted to leave because they felt the Union wasn’t letting them be independent. In the end, it was a hard decision, but I was able to gain valuable insight on the way other governments and societies go about their business, and made me realize how lucky we are to live in an independent nation that doesn’t have these particular issues. Today, as the world becomes a smaller place with a greater emphasis on being a global citizen, it is important to be able to adapt to different circumstances. This doesn’t only mean adapting to different locations, but also adapting to new coworkers or methods in the workplace. My experiences this summer have shown me that when I am faced with a challenge I am able to face it and conquer it. Whether it be asking for help when I need it, or adjusting to a language that is foreign to me, I was able overcome the challenge. I believe this was the greatest realization/transformation I could have gone through. 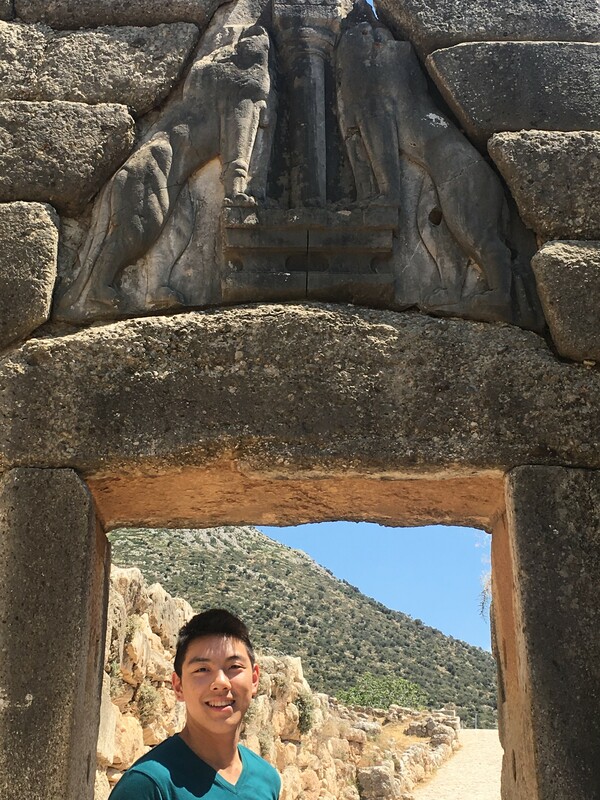 For my STEP project, I participated in a two-week study abroad program in Greece. There, I learned about all of Greece’s most historical sites such as the Parthenon, the Temple of Poseidon, Knossos, etc. As a group, we studied the structures’ historical and engineering importance as well as the country’s breathtaking culture. This would be the second time that I would be traveling out of the country to study in a foreign environment. The last time was in 2009 when I had traveled to China, and it was an absolutely fantastic experience. However, this time I felt like I was able to experience and learn so much more from my trip than I had when I was younger. Having matured and become more aware of American society and its social intricacies, I could very clearly see the differences between America and Greece. The culture was more laid-back, the people weren’t in a hurry or busy and focused on their work, and everyone seemed open for friendly conversation. No matter where I was in Greece, whether it be an island or the busy capital city, I got the sense of a large community that managed to remain close-knit. The Greeks just had a way of living that was very welcoming and friendly. The news in America always paints the rest of the world in a negative light. We hear about Greece’s close neighbor, Turkey, constantly being affected by the tumultuous war against terror in the middle east. We hear about the Greek economic crisis and how politically and financially unstable Greece is. We hear about the refugee crisis and how people are being robbed out of their homes and being forced to migrate to Greece in huge waves. But all of this takes away from Greece’s beauty and only shines a negative light on the country. What we don’t hear is how Greece is unearthing more and more of its rich history because of how accustomed we have grown to it. This shouldn’t take away from how amazing these findings are and the knowledge the world gains shouldn’t be simply ignored. The world is not as black and white as I had previously imagined it to be. The rest of the world is not suffering as much as I had previously believed and I think adventuring to Greece despite the warnings I’d heard taught me something I’ll never forget. It gave me hope and optimism for our future and it taught me how to take a chance in doing something despite the warnings or the stigma I hear. When I’d first arrived in Athens, I was greeted by the loud noises and ruckus of Athens. Our group went on a brief tour to get to know the city since we would be spending about a week there. The environment was very different than the US and the country was clearly still developing. At first glance the city seemed kind of like New York City- people were buzzing about, gypsies would come to greet us and try to sell us flowers, and the streets seemed kind of chaotic and dirty. My first impressions were to be honest a bit repulsive. I was already letting the fears that I’d gained back in America get to me. It then became apparent that it wasn’t uncommon to walk through the streets and find a relic from the past that was thousands of years old. Athens was a city that had constantly been rebuilt over itself and as a result its ruins and history are everywhere. The native Greeks strolled along without batting an eyelid as I was always in awe of the wonderful sights and history that I encountered. I began to slowly appreciate the city’s character and that slowly extended into my appreciation for the country. Leaving the Peloponnese was able to help my self-transformation even more. Once I started visiting the islands like Crete and Samos I was able to fully enjoy my experience in Greece and cast all my worries aside. I was interacting with the locals and listening to their stories as well as learning about their opinions on America. It was almost like I got to see the things in American society that I never would’ve imagined or noticed or that I took for granted. I’ll never forget these two weeks of my life and the humongous impact they had on me. It taught me to get rid of any past stereotypes and opinions I’d have and save it until I’d actually experienced something. I was forced to deal with an environment that was initially uncomfortable due to my presumptions and I let it get the best of me before I let myself gradually accept it. This study abroad has taught me most importantly that as long as I’m willing to try things then I can create an awesome experience for myself. On a personal level, I feel more open and willing to talk to people who I know nothing about. The people I met in Greece were complete strangers, but after overcoming language barriers and social anxieties I felt I could connect to them and find similarities that I’d never imagined. Professionally, I feel more willing to take on new tasks and assume more responsibilities without the fear of failure or my pre-judgement. I’m extremely thankful for this experience, and I hope to travel again in the near future to grow even more as an individual. -My study abroad was a trip to Prague, Czech Republic during Maymester! The purpose of this trip was to learn about the agricultural and economic policies of the Czech Republic and it’s partners in the European Union. We spent time in the classroom hearing from Czech professors and also time out of the classroom on explorations around the country. -I definitely learned a lot about myself on this trip. I had never been out of the country or away from Ohio for that long, so I got a little homesick. 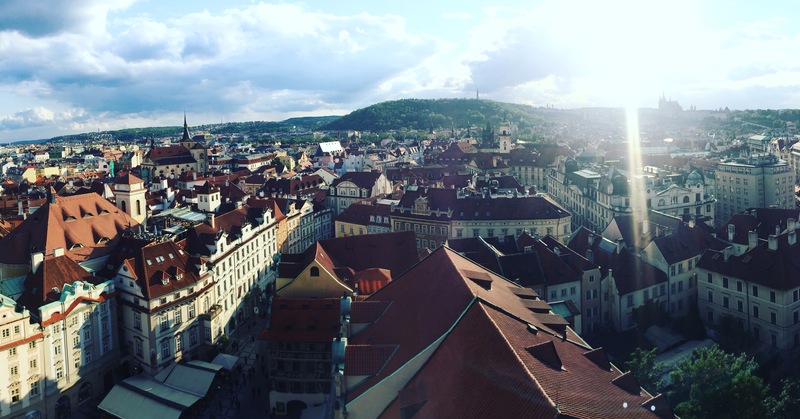 It was challenging for me to adapt and adjust to the cultural differences in Prague. I had been to Italy before, but there was even a huge difference between the culture of Central Europe and Western Europe. I am proud of myself for gaining this independence, and also teaching myself how to acclimate in extremely different environments. This skill will help me in the future when I have to move to new cities for jobs. -What helped me transform was forcing myself to be self-sufficient. I made myself learn the public transportation system and figure out where my important stops were. I also tried to learn as much Czech as I could in order to attempt cultural immersion and show my effort and respect to the Czechs. These learning experiences and interactions were very tough and frustrating at times, but I am happy I did it in order to have the full experience. I also learned how to ask for help. I usually pride myself of my extreme independence, but in order to get there in a brand new country, I had to ask for help first. I was lucky enough to have two great advisors to show me the way and help me get my feet on the ground. Another aid in my transformation was all of the traveling as a group we did. 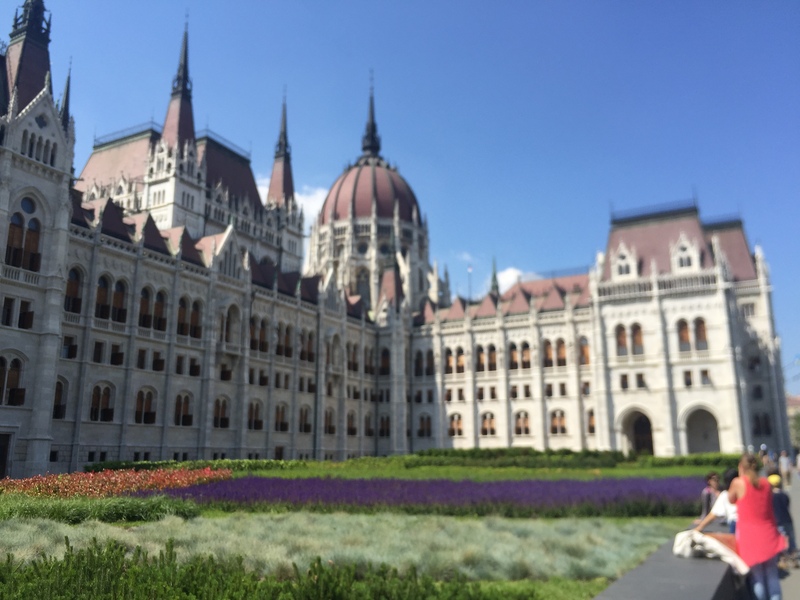 We saw so many unique and rich cities that I never knew existed. Many of these places were tucked away and had their own sense of discovery. Even though these places were beautiful, it was evident they had many problems due to a lack of development and assistance. This made me realize how truly vast this world is, and how sometimes people like us can be self-centered and not realize how privileged we are for the government, health care, and educational systems we have. – I think it is very important to be versatile in the ever-changing world today. Professionally, most things are usually never at a standstill. Being versatile to new technology and methods is a key to being successful in any profession. It is also an important skill to not become frustrated by these changes, and instead be calm, collected, and patient. I think the fact that I was able to acclimate and adjust in a country with a different language and completely different cultural practices will make any change that comes my way seem easy! My STEP signature project entailed a study abroad experience in Heredia, Costa Rica. I studied Spanish in a classroom on weekdays, a nd on weekends was fortunate enough to further explore Tico culture by way of travel. As I disembarked from the Delta aircraft in Alajuela, Costa Rica I could not have been more excited, thinking I would be living in the most beautiful country there is. This all changed as soon as I exited the airport, with Taxi drivers yelling in my face and after a long bus ride filled with heavy traffic and views of a run-down city, I began to question whether I could survive five weeks of this. Then, I was told to get off the bus and one of the program directors put me face-to-face with my host mom, who immediately began to ramble on in Spanish. Needless to say, culture shock is a reality. In the beginning, I despised public transportation, the lack of sidewalks to walk upon during my trek to Universidad Latina, the five straight hours of sitting still, the long lines (even at the bank), the absence of urgency among Ticos, and the difficulty behind constantly thinking about how to form my next sentence in a language that I cannot speak fluently. I could not wait to get away from the ridiculous catcalls and the fear of crime. However, after approximately two weeks of anxiety and uneasiness in this foreign city, full of far more obvious danger than those of Columbus, Ohio, I began to adapt. I now realize that different is not bad, it is simply different. My view of the world evolved from an understanding of my petite world to a far better comprehension of life outside of the living the American dream. I understand that living the dream is not the same for all cultures. I now realize that in such a small world massive differences between cultures still exist, providing for a far more complex society than I ever could have imagined. The most influential and transformational aspect of my STEP experience was the opportunity to live with a host family. When I first arrived I was overwhelmed by my in ability to comprehend my host mom’s questions and the frustration behind not knowing how to say what I could easily talk about in English. I did not like always locking three layers of gates before entering or exiting the house, but leaving all doors and widows ajar to welcome all sorts of bugs. 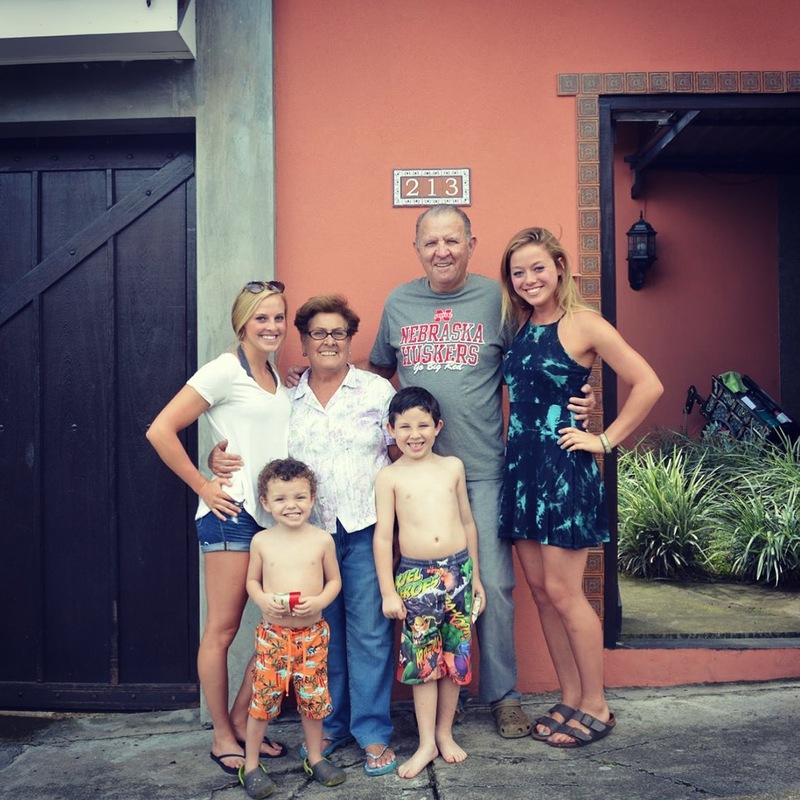 Gradually, I began to understand almost every phrase my host family spoke, became accustomed to their way of life, foods, and schedule, and felt like a part of the family. I enjoyed playing with the young boys each morning and making sure they made it safely onto the bus. I came to realize the value behind different ways of life and the importance of flexibility in one’s mind. Further, my weekend travels throughout Costa Rica played a major role in my immersing myself into the Tico culture. I experienced both positive and negative aspects of public transportation and achieved an understanding of my strengths and weaknesses. I realized that I have excellent problem solving skills when one of my companions lost her bus ticket and in Spanish I helped her to communicate with the sales-woman in order to get another one in time to board the bus. However I also came to know that in some ways I struggle with vast changes, such as the first few weeks of taking taxis as a means of transportation. During these times of travel my horizons broadened greatly as I experienced many different climates, regions, landscapes, and ways of life all within one country. Another memorable aspect of my trip was the opportunity to attend Universidad Latina. By participating in classes and common student activities I got to experience the Costa Rican education system first-hand. This opportunity set me up to interact with Tico Students as well as other students from various areas in the United States. This experience was highly transformational because I received an education in the Spanish Language in a native Spanish-speaking environment where I was able to take the most out of Spanish class. Importantly, this same situation allowed for me to fully understand the Costa Rican culture as well as learn the language. The self-transformation, of which all of these components of my study abroad experience have contributed, influences my abilities to obtain academic and professional success. By living in a native Spanish-speaking culture, I have gained the tools to excel in future Spanish courses at Ohio State. Also, I was able to complete six credit hours of course work for my minor, allowing me to move forward in my academic career. Moreover, as detailed in my STEP signature project proposal, my goal is to one-day work in the accounting and management departments of my family’s business. With the large amount of Spanish-speaking employees working for the business, my understanding of both Spanish language and culture will improve my abilities to be an effective asset within the business. Thus, my STEP experience not only transformed my current outlooks and global understanding, but also has further enhanced my future opportunities. 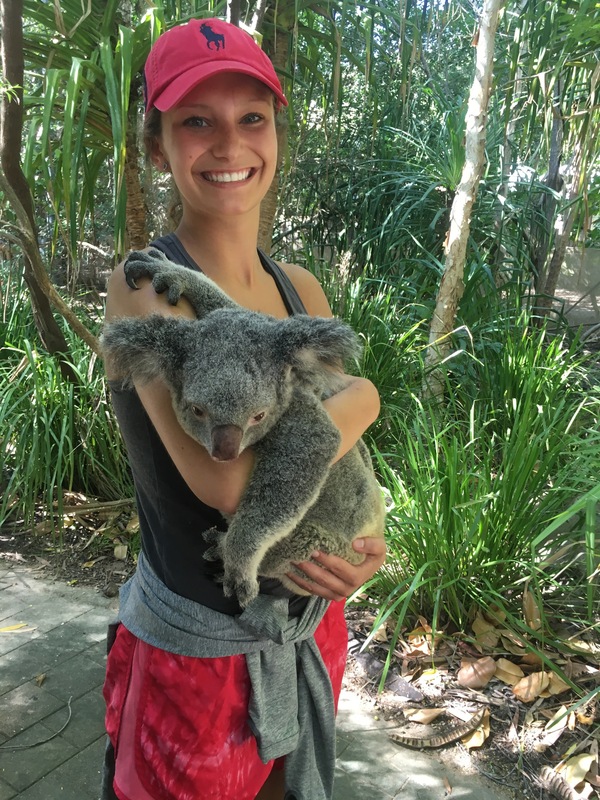 I took part in a Study Abroad program called Sustaining Human Societies and the Environment in North Queensland, Australia. For three and a half weeks, I traveled to various bioregions in this country, field-exploring and studying under experts about the country’s history of the indigenous culture, environment, and sustainability practices. To start, this was my first opportunity to leave the United States. I have always dreamed of traveling internationally but have never had the chance to do so. This trip was definitely a monumental step in my life as it sparked a lifelong interest in traveling the world. 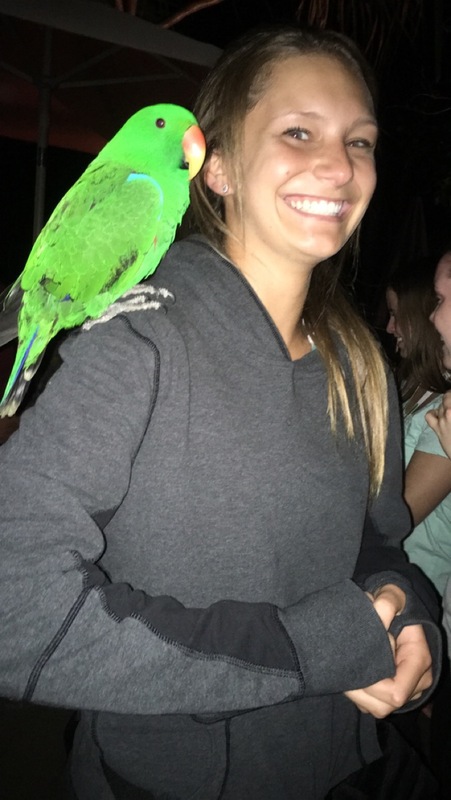 I absolutely loved being able to immerse myself in a different culture and observe life in a completely new place. This changed my understanding of what I could handle and what I enjoy. Moreover, I discovered a unique and interesting way to learn, through travel and observation. I feel that I am more cultured after taking part in this program and going forward, I plan to prioritize traveling so that I can continue to grow in this way. Additionally, the focus of this trip was sustainability, which involves the enduring of social, environmental and economic aspects of life. I saw the effects that human life has on the world firsthand, and learned more sustainable practices. I am now more aware of my actions and am eager to spread this awareness among future generations. 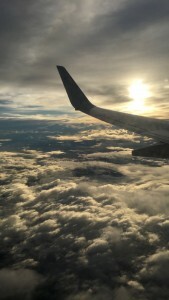 Prior to the year 2016, I had never even been on an airplane! I was not only nervous for the 22 hours of flights, but also being halfway around the globe from my home and with a group of people I had never met. Stepping out of my comfort zone allowed me to jump feet first into this experience. I approached everything with an open mind and was amazed at different things every single day. 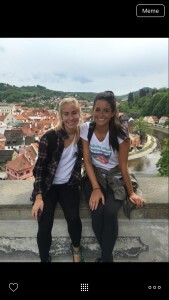 I was able to befriend my peers on the trip, and we were able to help each other through the experiences, which made the time even more valuable. I was also able to meet some of the most incredible people in the world. I knew that I would be learning from experts, but I was shocked that I had the opportunity to study under world-renowned researchers. Lectures and field activities led by these professionals taught me so much about the content of the course. 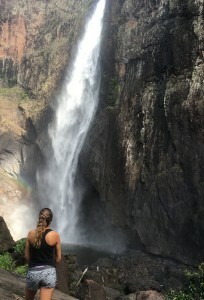 I learned more than I ever thought possible in just three and a half weeks about all of the different bioregions and the wildlife that inhabits them, as well as Australia’s history and Australia’s sustainability customs. Aside from formal lecturing from these people, I was also able to connect with them personally. We had set hours for lectures and activities, but afterward, I found that they would linger because they wanted to share as much with us as possible. Talking to these professionals one on one taught me even more. Our class was set up to have weekly essays and debates that were very stimulating. We had readings for support, but I found it most helpful to get the input from these professionals, and we talked for hours about so many different topics. Specifically, we had a debate that mocked a town hall meeting about zoning of the Great Barrier Reef. Our groups acted as different stakeholders, such as fishermen, conservationists, and shipping companies. We had to defend various positions, which sparked a passionate and enlightening discussion among us all. Additionally, when we camped in the outback, I was able to sit at a campfire and talk with one of our experts, Marco. 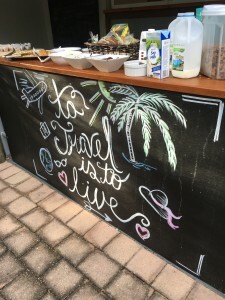 Being born in Italy, travelling all over the world, and eventually migrating to Australia, he was able to speak on the importance of traveling as a way to learn. His input made me want to travel even more. Finally, as most of the destinations on this trip were rather remote, it made for restricted cell phone use. This was probably the best thing for any of the students on the trip. It is well known that our generation is enveloped in social media. Being able to distance myself from internet and messaging was a blessing because I was able to become that much more involved in my experience. I was able to absorb everything more greatly, which made me value it all so much more. 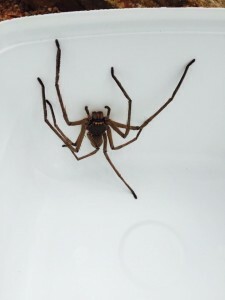 The most important part of this trip for me was facing my fears. 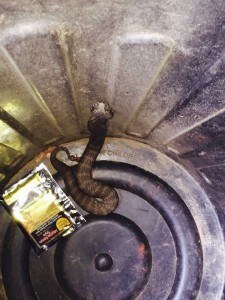 Of course I was terrified to leave the United States, take numerous flights in and out of several airports, and travel to a country with some of the world’s deadliest creatures, nonetheless not knowing a single other person on the trip. However, this pushed me and made me grow. I had to take risks in order to have a personally transformational experience. Not only was I able to make lifelong friends by going through the experience with my peers, but I was able to network with professionals. For one of our service opportunities, I actually made it into a local newspaper and onto the news on television, which was a first for me. Also, one of our experts took my contact information and offered to help me find an internship in Australia over a break if I wanted to. In addition, I was chosen as a student blogger for American Universities International Programs. This organization published my blog on their website, which was an amazing opportunity for my professional experience. Finally, this trip was special to me as it was not directly related to my undergraduate academic focus. 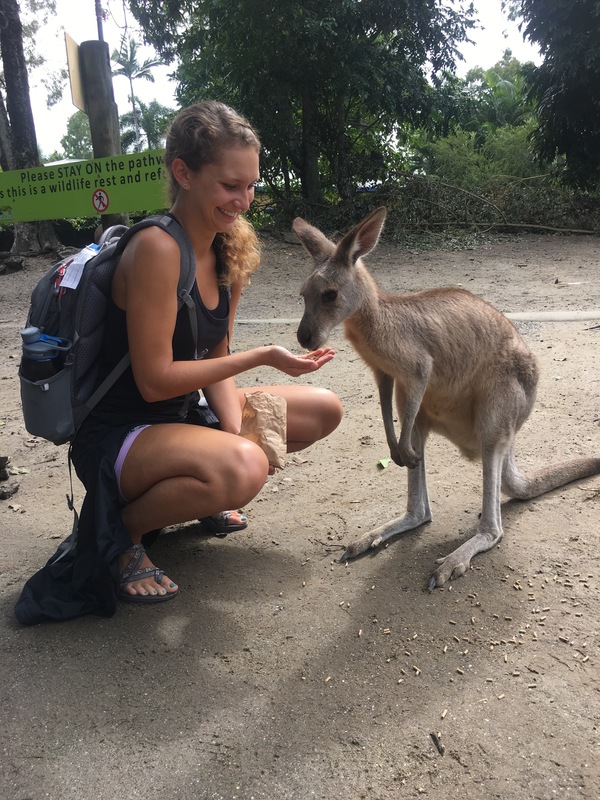 My undergraduate degree will be in Dietetics, and while I was able to relate certain aspects of the trip to this, such as learning about the diets of certain animals, most of the trip was about environmental science. I feel that studying a variety of things at the university level is important in establishing a diverse and complete education. Chasing fears, networking, and diversifying my education are all important qualities to implement into my life. Growing in all of these ways will certainly help me on the road to achieving my goals as I pursue my future. For my signature project, I chose to participate in the Psychology and Culture in Europe study abroad program during May semester of 2016. During the program, I travelled to Rome, Venice, and London touring various psychological museums as well as places of cultural, historical and religious significance. I feel my time abroad has been very transformative for me in many ways. For starters, I feel that I have gained a better understanding of myself. I was able to leave my comfort zone to try new things, and as a result I feel a greater sense of independence and confidence in my everyday life. I am no longer intimidated by public transportation and don’t mind getting lost while exploring big cities. Thanks to my trip, I have discovered a newfound love and appreciation of theater. My signature project also taught me how to stay positive during stressful, anxiety provoking situations, and most importantly, to laugh at myself. Before this trip, I had this idea of Europe being a huge, intimidating place in which I would most likely feel out of place. What I experienced could not have been farther from that assumption. I felt so welcome and at home while in each of these amazing cities. 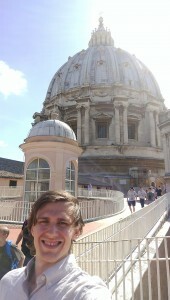 Even with the language barrier in Italy, I felt right at home. Because of this trip, I got an inside look at what sort of cultural topics and conflicts are important to people in this part of the world. As a result, I feel that my cultural worldview has been broadened. Although the entire trip has been a transformative experience, some events stick out in my mind as having the most effect on me. I found that leaving my comfort zone was one of the best ways to get the most out of my signature project. To expand my horizons, I tried foods I never would have thought to order in the states like clams, squid tentacles, and cuttlefish. One evening in Venice, I was feeling particularly adventurous so I decided to pick something at random off the menu. I wasn’t entirely sure what I ordered since the menu was in Italian. I was not so pleasantly surprised when my dinner came out with eyes still in tact… Apparently I’d ordered a type of pasta with crawfish and had no idea how to begin eating my meal. After a brief tutorial by one of my peers, I began to shell and eat my strange meal, and it was delicious! I’ve noticed a greater sense of confidence thanks to the repeated use of public transportation such as the Tube. I was so anxious about getting lost or turned around on the tube, but to my surprise, I mastered it relatively quickly and was able to navigate my way around the city with ease. 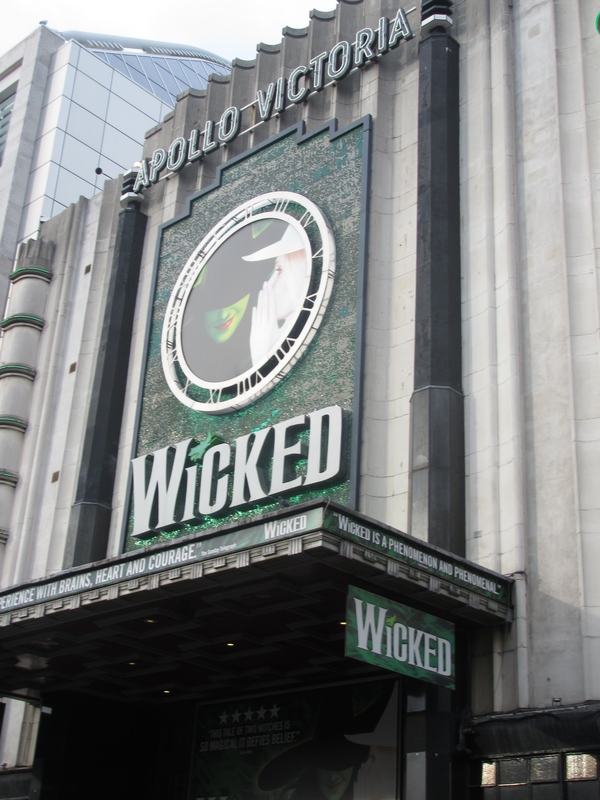 My newfound love of theater can be attributed to my experience at the Apollo Victoria Theater in London where I saw the musical Wicked. I never knew how emotional and exciting musicals could be, but it is safe to say that I’m hooked and excited to see many more in the future. One of the most important transformations I noticed was an ability to take a breath and focus on the positive when a situation becomes stressful and negative. Towards the end of the trip, some of the other students were becoming weary and burnt out, making a lot of negative comments and complaints. My advisor noticed my frustration and offered to show me mindfulness meditation. After practicing this method of stress relief, I was able to enjoy the remainder of my trip to the fullest. I’ve also noticed that I am able to laugh at myself now, and not take things so seriously. I think this is due to my special welcoming I received in London. I was practically bouncing with excitement to finally be in London, since I was looking forward to this part of the trip the most. While waiting outside for our coach, I received an unwelcome gift from a pigeon up above that landed right in my hair! Normally I would have been so embarrassed to have bird droppings in my hair in front of the whole group, but I was so excited to be in London that I couldn’t help but laugh to the point of tears! I am thankful for this memory that I will cherish and look back upon fondly. My view of Europe was changed by how many American’s we met along the way. Instead of a huge unknown city, the world seemed much smaller as we encountered people from all different parts of the United States. It seemed that everywhere we went, there was someone from America to offer a friendly smile. We even ran into a few Ohio State Alumni! It really is a small world. I’m grateful that I was able to experience the different cultures first hand. For example, in Rome it is very uncommon to split checks when dining in groups. A waitress explained that in their culture, everyone shares their meals with one another, so when it comes to the check, it is just divided evenly amongst the group. This system is much less individualized than American culture. I also learned a great deal about Venetian artisan culture. Some examples include the handmade lace of Burano and the traditions that go into making it, the precision involved in the glass blowing trade of Murano and the tradition of mask making in Venice. The transformations I’ve seen in myself thanks to my signature project are incredibly valuable to me. Thanks to this program, I have grown as an individual, become more confident and independent, and made lasting memories with new friends that I will cherish for the rest of my life. The confidence I have gained will undoubtedly help me further in life when I’m on my own and in the competitive job market. I’ve also confirmed by passion for psychology, which reaffirmed my choice in major. I am so grateful for the opportunity to share these once in a lifetime experiences with a group of my peers. The memories alone make this experience invaluable. 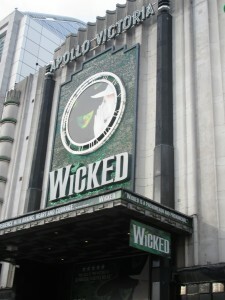 Apollo Victoria theater in London. 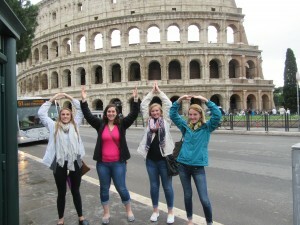 O-H-I-O in front of the colosseum. 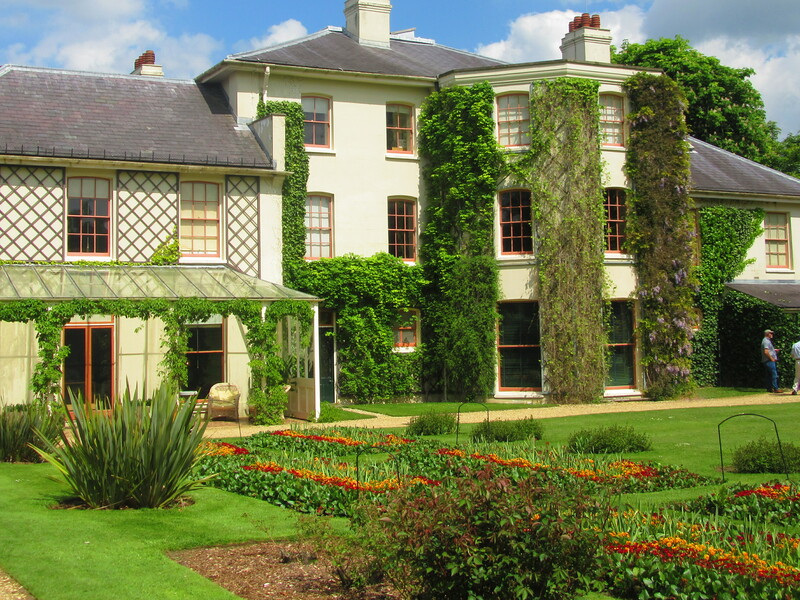 Back yard of Down House, home of Charles Darwin. My STEP signature project was participating in OSU’s Global May Madrid program. We went to many different areas of Spain and learned about the history of Spain, focusing on the topic of immigration. Before I went to Spain I really had a narrow view of how immigration in the world works. I’ve grown up in a pretty conservative environment where I’ve heard how immigration seems to have a negative impact upon our world. The positives and negatives of immigration were presented in many different examples throughout my studies in Spain. Now my viewpoint on this topic of controversy is mostly positive thanks to the explorations of Spain’s diverse neighborhoods. I also thought coming into this experience that it would be easy to make a lot of friends. But that was one part of the trip I struggled the most with. I never felt like I truly found anyone that had similar interests. This definitely inhibited me for a portion of the project until I realized that it did not matter if I came out of this experience with five new best friends. It is far more important to be able to internalize and process personal emotions in order to come out a changed person afterwards. 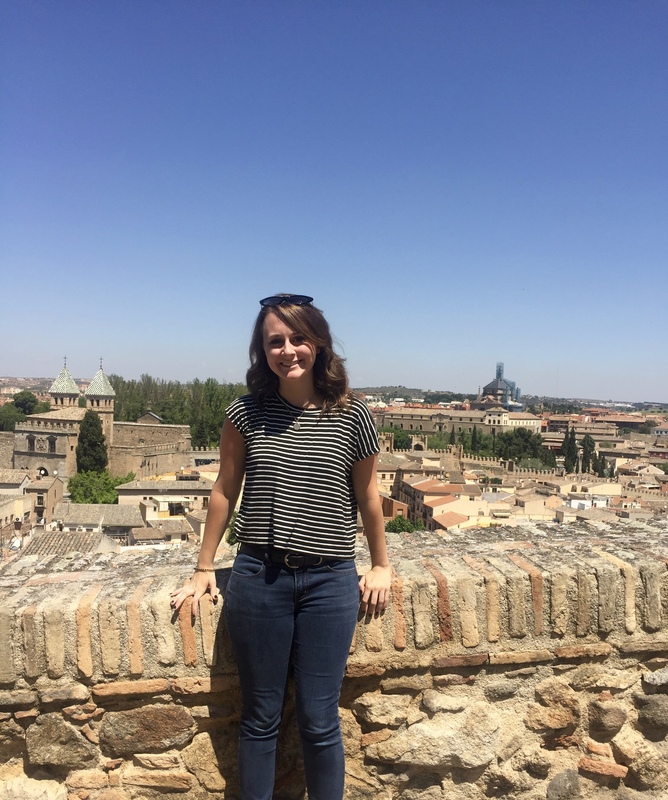 Learning in Spain took place in and out of the classroom setting, and it was mostly the out of classroom experiences that impacted me the most. Immigration was never really a topic of much interest to me before my travels. The group visit to the neighborhood of Lavapiés was a moment that led to the shift in my standing on immigration. This neighborhood was full of every ethnicity possible. The street would have an African market, followed by an Indian restaurant that would be next to a Chinese goods store. The diversity in the neighborhood was incredible. There were some points of conflict in between these groups, but there’s an overwhelming commonality between them in that they all want to make a better life for their families. Until this visit I had never seen the intermesh of cultures seem to work so seamlessly. It was definitely very cool to see and proves that the intermesh of culture due to immigration can be very successful. The topic of family was something that was touched on pretty heavily while talking about immigration as well. The immigrants to Madrid were all very willing to do anything to make money to contribute not only to their family in Madrid if they had any, but as well as the family back in places like Latin America. People would attempt to wash cars in heavy traffic areas to make some change, as well as sell indigenous crafts on the side of the road. This may not seem worthwhile and profitable to most, but it really gave me a better understanding of why all these people travel to Madrid in order to secure a better lifestyle. The moment on this trip where I realized that self-internalization was vital came fairly early into the trip. The group was taking a weekend trip to Toledo. The getaway from the heavily trafficked and lively city to this small city on top of a hill was a very unique change. It also didn’t hurt that this little city provided the most magnificent views over Spain. Our dorm offered a great layout of the overall city and it was just one house piled onto the next. Looking upon this city and thinking of all the people that contributed to this beauty and how it made me feel at peace was definitely a highlight to the trip. I could’ve locked my eyes on that view for eternity. 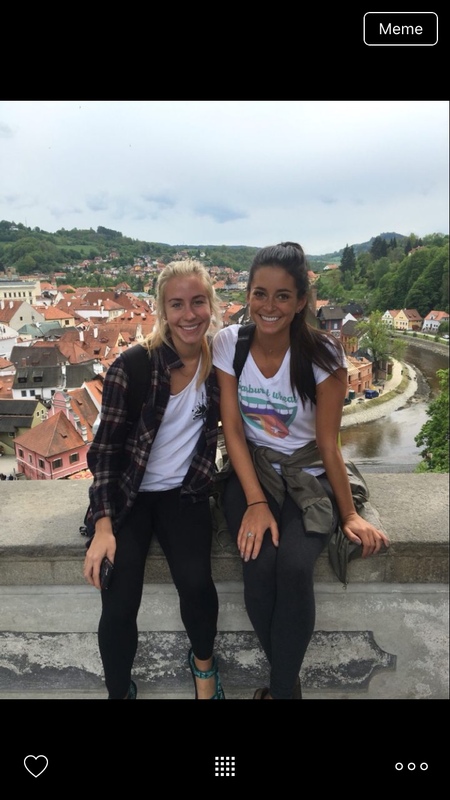 While studying abroad was not directly related to my major, I still feel as though I learned a lot about myself personally. Having a changed view on how immigration impacts society has already changed how I approach many daily situations. I spent the rest of my summer working in an area of low-income families in similar situations, so it was way easier for me to empathize with their situations. Going to Spain and having time to reflect on the beauty of the world was very special. I now find myself more deliberately looking at the world finding joy and beauty out of the small things. Being immersed into the Spanish culture for a month was a pleasure, and it has definitely made me think closely about trying to figure out more ways to travel in the near future. 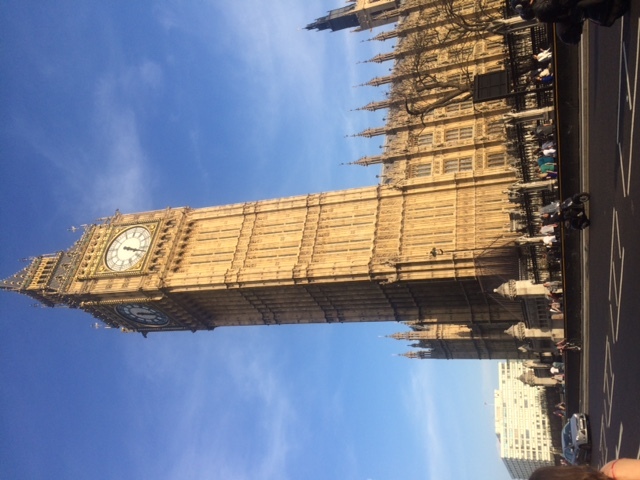 For my STEP signature project I took the opportunity to spend 4 weeks living in London, Great Britain to study the government, culture and history of the area I was in. 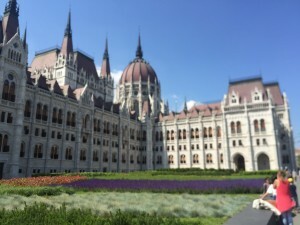 Along with seeing multiple museums and popular tourist sights, I was also able to take tours of different ethnic parts of town and see areas that many people visiting for a shorter period of time often overlook. On two of my weekends while abroad I spent time in Scotland and Paris which allowed me to compare the cultures of different societies in Europe. As for my view of the world as a whole, I have a very contradicting view that is truly unable to be understood unless you have travelled abroad yourself. I found that the world is so much bigger and so much smaller than I had ever imagined. In a way it is so much bigger because there is so much to explore and so much to see that even with my 4 weeks spent in the streets of London, I still have not even seen a fraction of all that it has to offer. There are little alley ways with bookstores and cafes that I didn’t get the chance to explore and parts of town I didn’t get the full experience of. Yet, at the same time, I found that even with the differences in culture, and language in Paris, people are the same and want the same things no matter where you go. This isn’t only obvious in the big things like people having dreams of traveling and such, but people in other countries sometimes like to sit on the couch and watch television too. Just because they are in a different country does not mean that they have completely different lives necessarily which makes the world seem that much smaller. If I had to pick one defining moment in my London trip that made me realize that I was stronger and more self-sufficient than I previously gave myself credit for, I would look back to the first excursion we had as a class to Westminster Abbey. Prior to splitting up after class and agreeing to meet at the sight at 1:00 a soon to be best friend of mine, Amy, had spoken to our Graduate Student TA about a short cut to get to the excursion. Thinking that we could handle it, we ventured out with another friend Hailey and tried to make it to Westminster Abbey on our own. However we were very, very wrong. As an individual I’m very rarely late to events and when I am, it causes me major stress. So at 12:58 when we realized we were a mile walk from where our excursion was that started in 2 minutes, I was in full stress mode and still lost. However as a group we used our resources, asked our fair share of locals where to go and eventually, 25 minutes later, got to our assigned excursion. While this story sounds the exact opposite of growing as an individual, I really found in myself, once arriving at Westminster Abbey, that I made it where I needed to be, yes late, but there nonetheless. I was able to pull myself together, work with friends and navigate my way in a foreign country that I had lived in for only 2 short days. This was something I had never imagined being able to do and was truly amazed with my abilities after this. 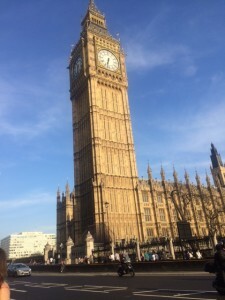 But that is not to say that I never got lost again because I had my fair share of adventures that I had not expected, but eventually I realized it was all part of the experience and really learning about London and being a citizen of the city. When traveling to Paris I realized that even if people are from different cultures and speak different languages, there are always commonalities and kind people wherever you go. The second my group of students stepped off the train with our suitcases, we realized we weren’t nearly prepared enough to travel somewhere that the only word we knew was “merci” and had very few plans other than where we were staying. After some confusion with cabs and transferring money, we called the all trusty Uber and found our driver to be one of the nicest people I had ever met. So while we were all confused, somewhat frustrated and worried we would never make it to our hotel, there were still people nice to us and willing to make our experience the best it could be. It was all in the experience and people I was with that made the trip memorable, not all of the mistakes we made and wrong turns we took. More so I remember what great adventures we took and places we discovered when those wrong turns were made. My newfound self-confidence in my abilities does not only extend to my skills in navigating a new place but it also relates to how I see myself when facing a task I may be unfamiliar with. Instead of shying away or thinking that it is simply too difficult for me, I have learned to work through my problems because I need to in order to survive. This can translate into my future workplace as well as personal goals. As for my academic career, I now feel that I am more confident in my own abilities to complete my degree and eventually become an Occupational Therapist no matter how difficult the classes are or how unprepared I feel for the positions that I may be put in. My career goal includes many obstacles such as taking the GRE, graduating from my undergraduate program with respectable grades, and applying to graduate school. With all of these, I will come across difficult situations that I may be timid to face but with the skills I learned throughout my study abroad experience, I know that I can fight through to reach my goal. Personally, this trip has made me a more well-rounded individual who knows more about the cultures around the world and how to face even what seems like the simplest of issues like making it from point A to point B. 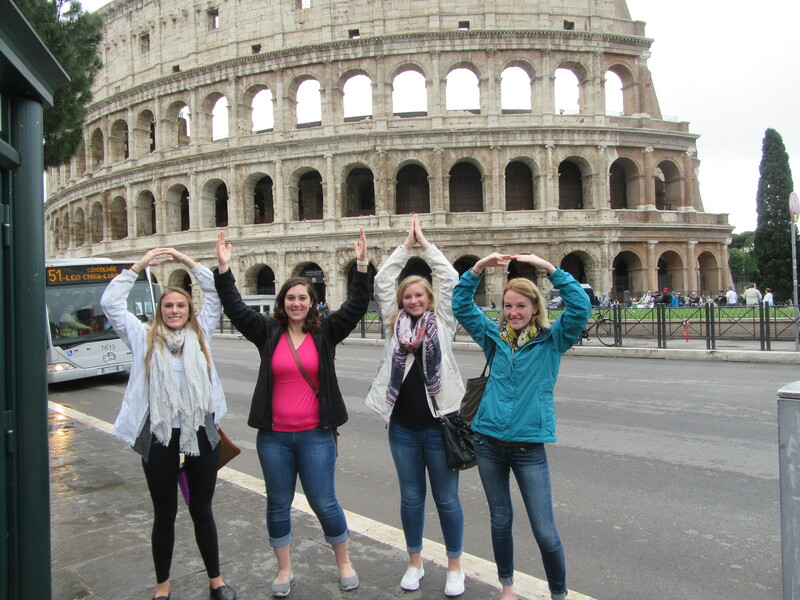 My STEP Signature Project entailed a 3 ½ week study abroad trip exploring all of Greece. While there, I learned all about Greek history and culture, as well as the economic and political issues Greece is currently facing. At the same time, this was a new personal experience for me, and I learned a lot about myself along the way. This trip was my first experience ever overseas, and as a result, my opinion of foreign countries changed drastically. Previously, I thought that outsiders viewed the United States in an overall negative light. People here in the US have a tendency of creating this image where other countries despise America, either because of our government, or personality, or habit of getting involved in international affairs, etc. However, after talking to so many of the locals throughout Greece, the opposite seemed to be true. Whenever someone from the group or I mentioned that we were from the United States, people would get really interested and excited, and ask countless questions about our lives back home. Many told us their dreams to eventually visit America. This took me off guard, as the reaction I was expecting was one of disapproval, or maybe even disgust. Another way in which my opinion of foreign countries changed was that outside of United States, people would be less friendly, and more introverted and self-centered. Furthermore, I was countlessly warned during my trip about the risk of getting mugged, pick-pocketed or scammed by the locals. I entered Greece expecting the worst. However, once again I was taken aback by how wrong I was. Most were extremely friendly, outgoing and kind. We always got very detailed directions from the locals whenever we were lost. We would constantly receive extra appetizers, drinks or desserts on the house. Not once did I feel in danger of crime, even when in the shadier parts of towns. Overall, the Greek people seemed very interested in showing their own culture, and learning about American culture, and it impressed me greatly. Over the 3 ½ weeks I spent abroad, I became much more open to the world around me, as it slowly dawned on me how close-minded I originally was. The first time this occurred to me was during our first night of the trip. I had just been on airplanes for the past twenty or so hours. I was exhausted, hungry, and nervous about what the future held. I also had in mind my own opinion about what people from foreign countries were like. However, walking around Athens on that first night was an experience I will never forget. Walking down the road, there were countless stores, food vendors, and talented musicians. Everyone was friendly, and having a good time. The whole thing seemed like a special festival or party, but in reality that was just what Athens is like every night. This night showed me all the rich diversity and culture Greece had to offer, and I started to become more comfortable in a place I would soon fall in love with. After our first couple of days in Athens, we went on a tour of the Peloponnese. 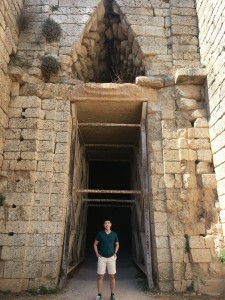 We visited cities/towns including Corinth, Mycenae, Sparta, Mystras, Olympia, and Delphi. All of these areas were beautiful to witness, but also unique in their own way. Aside from the incredible views, each of these areas also had their own rich and unique history relating to Ancient Greek times. It was actually extremely interesting and entertaining to hear stories and presentations on the countless wars, as well as the culture and beliefs, of the Ancient Greek people. 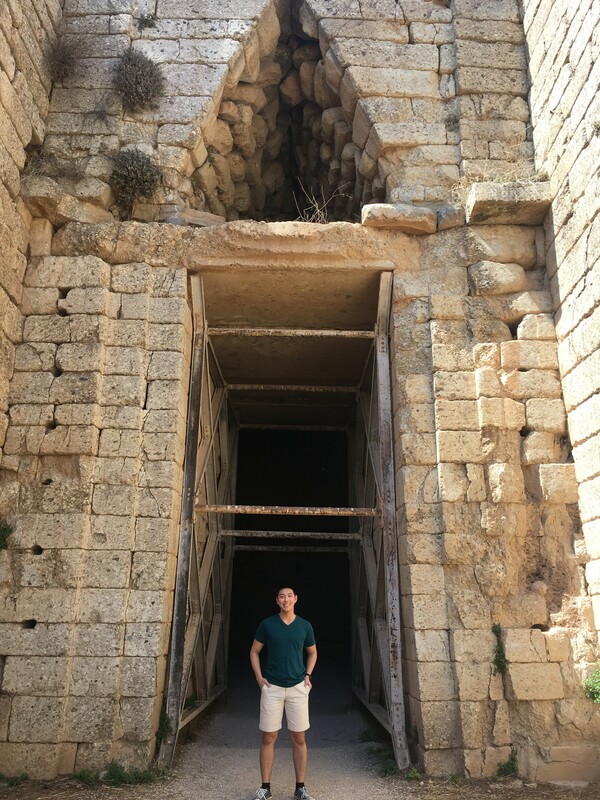 This tour through the Peloponnese made me realize that every place, even if seemingly in the middle of nowhere, has a rich history and story to tell. At this point, I spent the rest of the trip craving more knowledge on both ancient and modern Greece. After our tour the Peloponnese, we spent the next week or so in Thessaloniki, the second-largest city in Greece. This is where we had most of our interactions with the Greeks. What I found right off the bat was, contrary to my original belief, was that the Greeks were extremely friendly and outgoing, rather than anti-social and selfish. What I remember most vividly is a cafe that we visited with two very nice and friendly waiters. They told us all about their day-to-day lives, and were very excited when we told them we were Americans. We talked all about American and Greek cultures, and their similarities and differences between them. They also told us about their dreams to eventually visit America. At the end of the night, they gave us a couple free desserts, and appetizers, telling us more about Greek food. It was an experience that I won’t soon forget, and made me think more about the false realities that are sometimes created for things we are unfamiliar with. Overall, this trip definitely gave me more confidence in myself, both with new experiences and things I am uncomfortable with. This trip also taught me to think for myself, as well as to be aware of whether or not something is biased. These personal lessons will also help me exponentially with my professional goals. Eventually, I want to have a job as a sports statistician or analyst. This job will require a lot of travel, as sports events occur at multiple locations, and could also involve international travel. This experience has allowed me to become much more comfortable with travel, and communicating with others with different backgrounds. It is also important for an analyst to think objectively, and to not let bias from a preference for a certain team or something cloud their judgement and analysis. This trip made me realize how much bias and subjective thinking can change an idea. Using this unforgettable experience, I will be sure to be aware of experiencing something myself, and forming my own opinion on it, rather than listening to the biased opinions of others. Lastly, this trip showed me that there is always something else in the world to explore, so I should travel as much as I can. I can’t wait for my next international trip! In May of this past year, I studied abroad in Berlin, Germany, with the Berlin, Then and Now: People, Places, and Experiences program. Throughout my time in this program, I attended a class 2 to 3 times per week while also going on class excursions 3 times per week. After this program ended, I traveled to other European cities. Going into my trip, I had no idea what to expect of Berlin because I had not learned much about its modern history other than from World War II and the struggle between East and West Berlin. In the weeks prior to this program, I often went on the internet to search things to do in Berlin and general tips for Berlin travelers. At that point, I had come to the conclusion that I was not going to have enough places to explore over the entire month, since there were at most a dozen landmarks and activities that interested me. However, once I got to Berlin, I realized that I was completely wrong. I had known about the many tourist attractions such as the Brandenburg Gate, Reichstag, and Sachsenhausen Concentration Camp, but I was thrilled to discover Pfaueninsel – an island with wild, roaming peacocks – among various other places in and around Berlin. When I left Berlin at the end of the program, I was wishing that I had a few more weeks to spend there because I had not explored every part of the gigantic city. This reminded me of the old cliché – don’t judge a book by its cover. Judging from internet searches and my history textbooks, I had envisioned Berlin and Germany to be a not so fun place with a dark history, but my experiences there have taught me that I should not be so quick to judge a place until I have visited and fully understood what the city has to offer. As I spent more time in Berlin, I discovered that there were many differences between this European city and the American cities in which I have lived or visited. Perhaps what struck me the most was Berlin’s quick, efficient, and easy-to-use transportation. In both Columbus and Cleveland, my experiences have brought me to the conclusion that our bus systems are unreliable – often changing routes without notice or showing up ridiculously late. In Berlin, however, I experienced a transportation system that for the first time in my life I felt was simple and reliable. Unlike most cities here in the United States, Berlin’s transportation system consists not only of buses, but also the U-Bahn and S-Bahn, which are underground and above-ground trains that share many stations. This makes it very convenient to travel anywhere within the city within a reasonable amount of time, and I could pretty much guarantee that the trains would arrive on time. Using European transportation every day for over a month has left me wishing that the United States will consider building a reliable rail network across the country for easy travel while also increasing funding for cities to create or improve their subway and everyday rail systems. 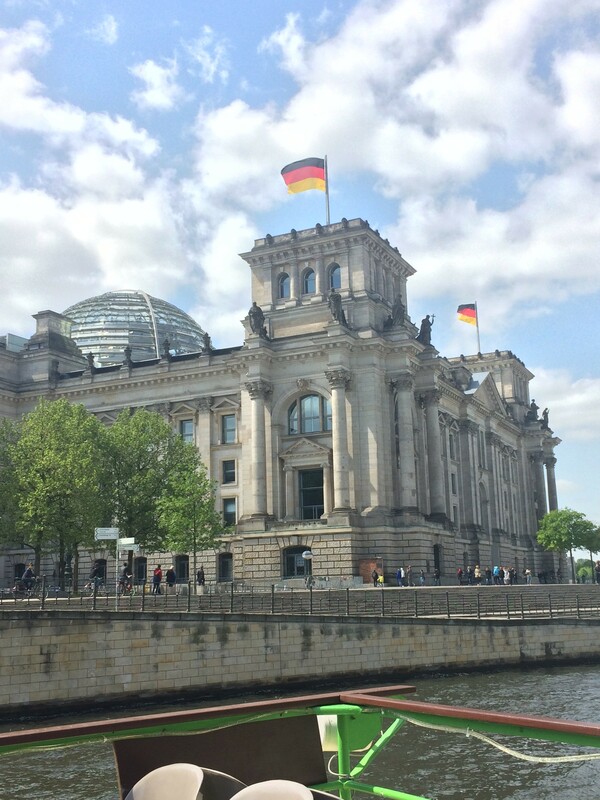 When I first arrived in Berlin on June 8th, it became very obvious from the beginning that the Berliners have a much different culture than Americans, and sometimes it was challenging to adjust. The first thing I noticed was the different language that Germans speak, which I was prepared to experience, but it was still strange to hear the German language wherever I went. In addition, the people of Berlin are, in general, very quiet people who mind their own business. Personally, I did not have to adjust to this because I am a very quiet person myself. However, when using public transportation, for example, our group was very loud on the S-Bahn, and all the locals were glaring at us unapprovingly. Also, we were advised not to use the showers at the hotel past ten o’clock at night. This reinforced that Germans are more respectful of their neighbors’ desire for a quiet, relaxed atmosphere regardless of the time of day. I believe the German culture has given me and my classmates a good reminder to be respectful of everyone’s privacy and right to peace and quiet – something that is often overlooked in the United States and around our campus. My experience studying abroad in Berlin has definitely enriched my academic education, which was one of my goals going into this program, since I have learned firsthand about the many buildings and people that make Berlin the important historical city that it is today. Coming into this trip, I had only learned some of the history of Berlin that occurred around the time of the Berlin Wall and World War II, such as the Battle of Berlin and Hitler committing suicide in his bunker. During my time here, however, I have learned much more about these time periods and that Berlin now has a much more vibrant atmosphere than these dark, destructive times. I found it very interesting how wherever I walked in Berlin – whether it was past the Pergamon Museum on Museum Island or the Beethoven-Haydn-Mozart Memorial statue in the Tiergarten – there were hundreds of bullet holes remaining from the war. This observation really brought the Battle of Berlin to life for me, and it is still hard for me to believe that bloody gunfights took place in the now peaceful Tiergarten and Museum Island. Furthermore, living in Berlin for a month has given me the opportunity to go to more than ten museums, which have given me so much more knowledge in addition to what I learned in class. For instance, in class we learned about all the events related to the Berlin Wall, but when visiting the Berlin Wall Memorial and hearing the stories of dozens of teenagers and young adults dying while trying to cross the border, I finally realized how helpless millions of East Germans felt from 1961 to 1989. This trip has without a doubt helped me transform into a global citizen with a better understanding of others around me. 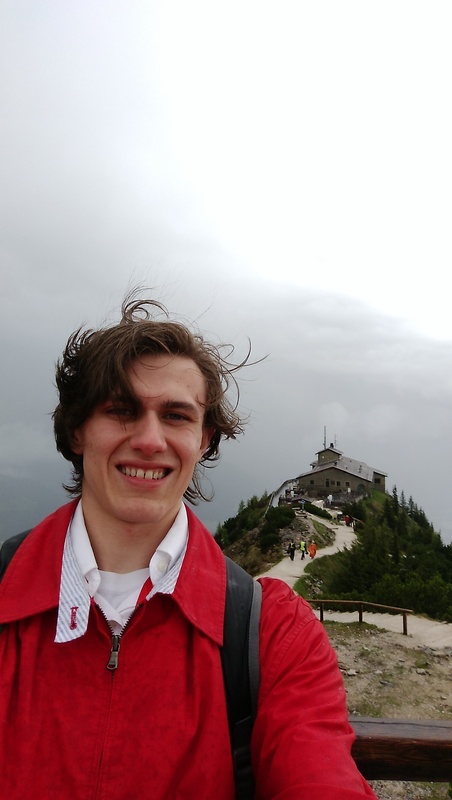 By experiencing the culture of the locals in Berlin, Prague, Munich, Salzburg, Venice, and Rome, I now feel more comfortable being around and communicating with strangers and people from different cultures. This is very important for me because I am a shy person, and this trip has increased my confidence in having conversations with other people. 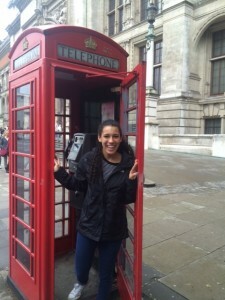 Furthermore, the transformations I experienced on my study abroad trip have helped me get closer to accomplishing many of my personal and professional goals. Professionally, my main goal has been to improve my public speaking, and my program has helped me do this because not only did I have a ten minute presentation on the last day of class, but I also had to communicate with many German speakers by using hand motions and the few German words I knew. My personal goals going into this trip were expanding my social network and challenging myself to try new things. I accomplished expanding my social network by meeting all my classmates, the graduate teaching assistant, and the OSU professor who taught the class. I definitely challenged myself to try new things with this trip because I had never left the country before this, and I was a little nervous to be in Europe for over a month. I have learned from my experience abroad that being open-minded about new experiences can make these experiences much more enjoyable. In the end, it was definitely worth it, and I couldn’t have thought of a more transformative STEP project. In conclusion, my time in Berlin has been absolutely amazing, and it has been fun to experience a culture on the other side of the world for the first time. I have enjoyed learning more around this historical city than I could have possibly learned anywhere else, and I am looking forward to coming back in the near future!